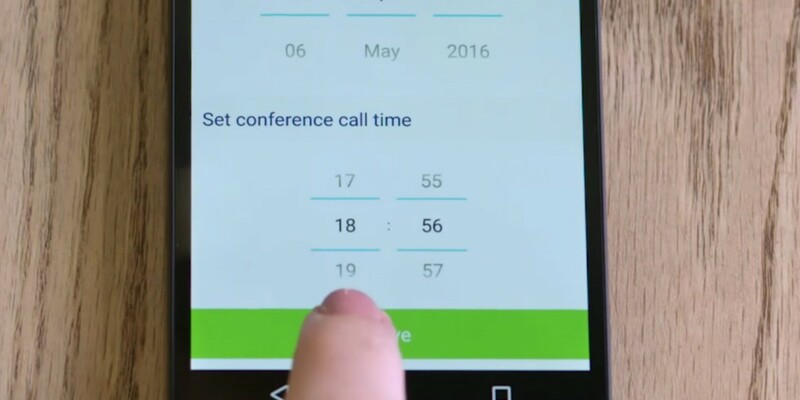 UK company Voxygen has come up with a super-simple approach to audio conference calling that works over your mobile network. To initiate the meeting, you need to be with a provider that supports the service, but anyone else can dial in as easily as it would be for them to call your phone – because that’s all they need to do. The UK’s O2 network is the first to launch the service, under the name Just Call Me, and I tried it out with Voxygen CEO Dean Elwood. Elwood set up a call, scheduling the start date and time via a dedicated app, which is available for iOS, Android and Windows Phone (which is only availble to those with an O2 SIM). At the agreed time, he dialled 321 from his phone and kicked off the call. Then I dialed his mobile number and found it had become an on-the-fly conference call number. After pressing ‘1’ and being prompted the announce my name, I was in. There was no need for a PIN code, special phone number or dedicated software – just a group phone call that worked. You can even set them up on the fly without the app if you need to. Of course, you wouldn’t want anyone who happens to phone you jumping into the group call, but Elwood says that in testing, most people who aren’t invited to a call “do the right thing” and don’t try to enter. Organizers can kick people out if they need to, though, and they can lock a call once all the invitees have arrived. Of course, this is an audio-only service, but there are plenty of competing services that have caused me so much more pain than this in the past. O2 Just Call Me is available now to UK business customers, and Voxygen is in talks to bring the service to networks in other countries.